Reproducing any artwork that truly reflects the original is in itself a ‘work of art’, so to speak. 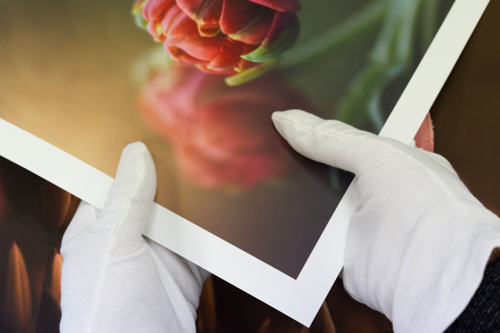 Here at Print Art, we make that possible for artists wanting to monetise their artwork by making gallery quality giclée prints of their artwork to sell into the ever-growing art market or the interior designers wanting to tackle corporate decorating projects. 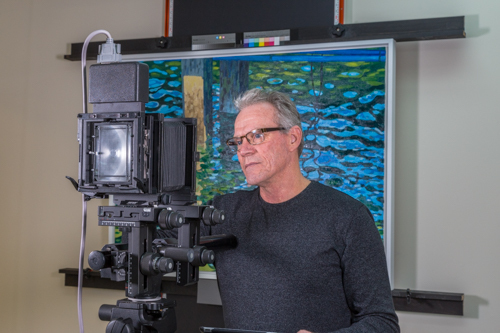 We make use of a large format Sinar P2 studio camera with a 50 megapixel Betterlight scan back to create a true RGB 48bit high fidelity digital image. 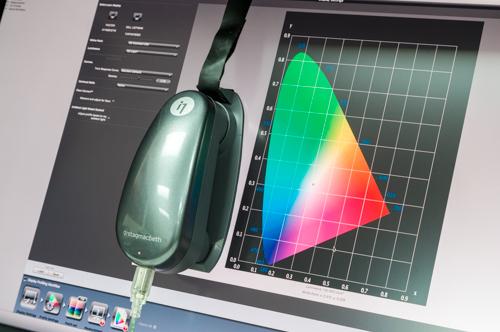 Our colour calibrated workflow results in a consistently accurate colour reproductions. Our copy wall is able to safely support large artworks up to 2m x 2m. 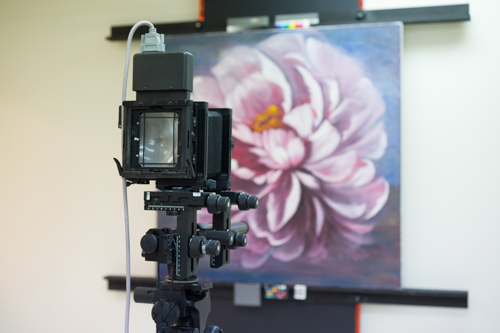 All artwork is securely stored in a custom built rack. 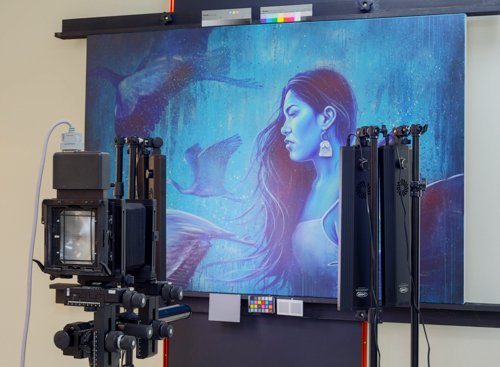 The reproduction process then follows our meticulous digital workflow with the artists final approval giving us the go-ahead to print. 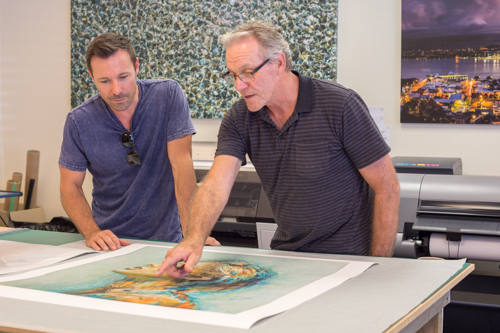 The final step in the process is selecting the right paper so that he artist can achieve their artistic vision in the artwork reproductions. 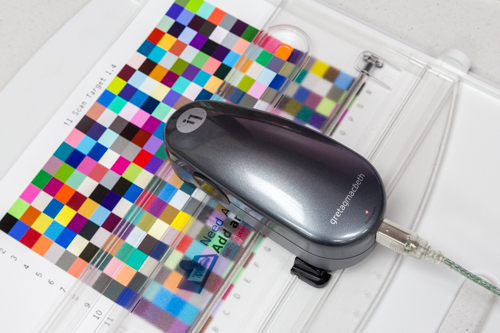 This combination is then married using custom ICC profiles and our giclée inkjet printers. 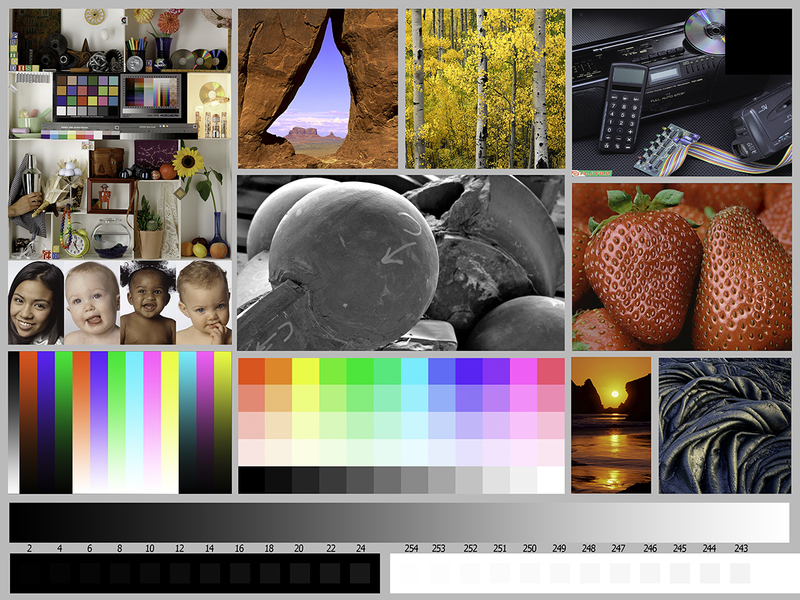 With an eye for detail and colour, we will work with you, the artist, to ensure that your beautiful images are reproduced to your standards. Once we have created the correct set-up for an image, this is locked in and stored in our archive for future print runs. We provide a complete turnkey solution for artist by offering a packaging and drop shipping solution. 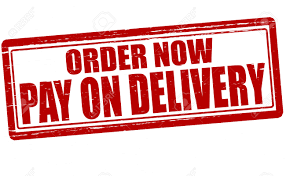 This avoids double shipping costs and a faster turnaround for your customers. All protective packaging is in high quality crystal cellophane sleeves with backing card. How many times have you asked yourself this question….’oh how I wish I had more than one of those, then I could give each family member one’. Like many modern Kiwi families, our grand children live some distance away in another country, so we only get to spend precious time with them a few times a year. Thanks to modern technology, we are able to chat to them often on Skype. Another great way of using technology is scanning and printing their precious artworks as they grow up. This way, you can keep a digital library of all the amazing works of art they produce and also print it out and send it off to family members all round the world. No more fighting over which grandparents get what piece of art.